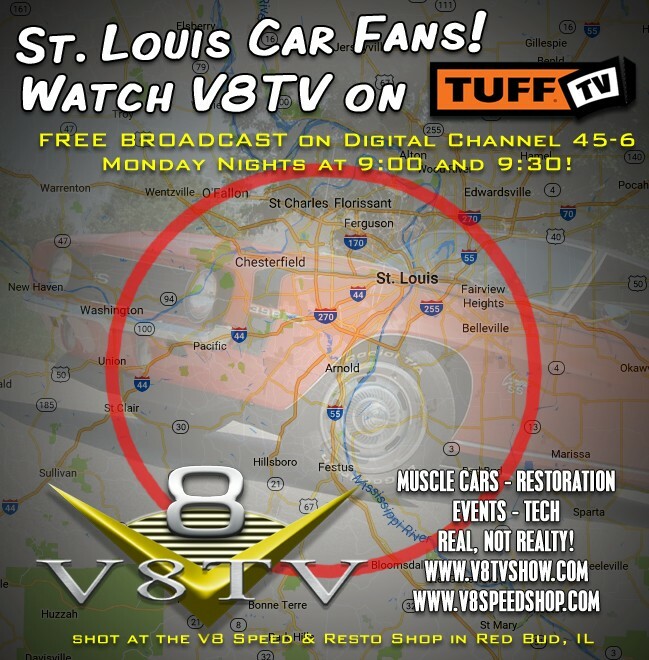 Now you can watch V8TV on TUFF TV in the St. Louis market for FREE on digital broadcast channel 45-6, WODK-LD TV! V8TV airs Monday nights at 9:00 PM and 9:30 on TUFF TV, and shows the right way to restore and modify classic American Muscle Cars and takes viewers along to the hottest car enthusiast events like SEMA and the Muscle Car and Corvette Nationals (MCACN). Each episode kicks off with a Muscle Car Of The Week from The Brothers Collection, and the tech and how-to programming leaves the details in, and the drama out! TUFF TV is home to all kinds of action programming, so be sure to have your TV scan the channels to add it to your list. If you don't have a digital TV antenna, you can grab one at your local Wal Mart and enjoy dozens of HD channels for FREE! Click Here for antennas! Learn more about TUFF TV here! V8TV currently airs in over 70 US markets on three national TV networks including TUFF TV, The Action Channel, and Rev'n TV. 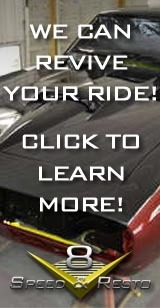 V8TV videos are also distributed online at www.v8tvshow.com and through YouTube, social medial, and other online automotive enthusiast websites. The mission of the V8 Speed & Resto Shop is simple... to connect people to the best times of their lives through things with wheels. This could mean restoring a family heirloom classic car to reconnect with family experiences from the past, or maybe helping a person get behind the wheel of a Muscle Car they always wanted. Maybe it’s obtaining a similar car to what Dad had back in the day - you know, the one you used to steer on his lap before your feet could reach the pedals. Perhaps it’s helping someone get their old high school car safe and roadworthy again for a new generation to enjoy. Perhaps it is dreaming up the ultimate show car and touring it around the national circuit, or building a track-capable high performance car to enjoy on weekend blasts. Whatever it is, the V8 Speed & Resto Shop team can help make it happen. Weather you’re ready to reconnect with the good old days, or you’re looking to drive into a whole new world of experiences, the V8 Team is ready to help. 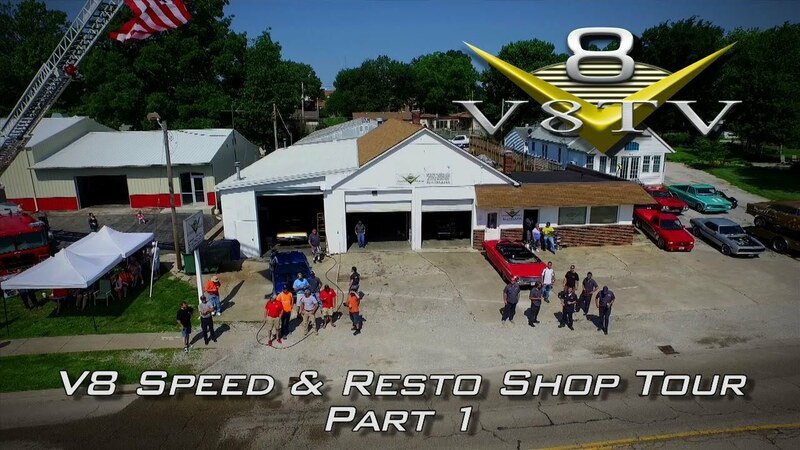 The V8 Speed & Resto Shop, located 1/2 hour away from St. Louis in Red Bud, IL, is a full service Classic Car and Muscle Car restoration shop with a talented staff of restoration technicians ready to build your dream car. The V8 Speed & Resto Shop has turned out some of the highest-quality "Pro-Touring" style Muscle Cars around, many of which have been featured in major automotive enthusiast magazines and have won awards at national shows and events. Home of V8TV Television Show! The V8 Speed & Resto Shop is a full-service Classic and Muscle Car restoration center. It all began in 2005 as a small shop on private property which served as the shop and production studio for the V8TV Television show, which aired nationally on various cable / satellite TV systems. At that time, the small crew built one car at a time as content for the TV show. Soon, people watching V8TV began to call and ask how the V8 crew could build their dream car, and things took off from there! 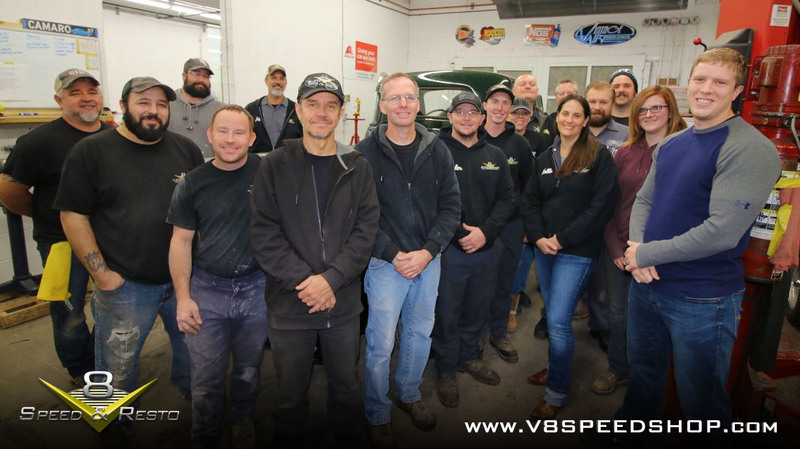 Today, the V8 Speed & Resto Shop is fully staffed with 18 talented people ranging from technicians, fabricators, body & paint techs, plus the administrative and video production crew. 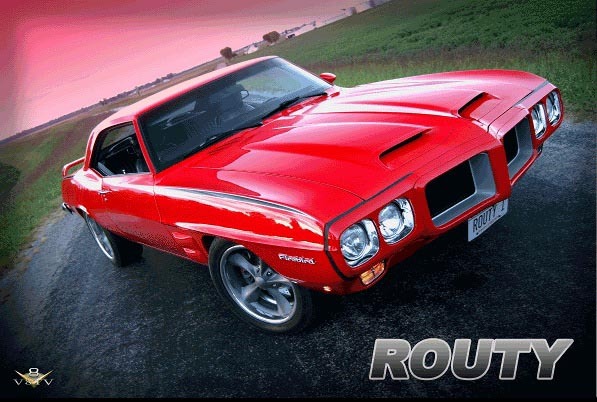 V8TV airs nationally on the TUFF-TV and REV'n, and The Action Channel TV networks, and the video crew is continuously producing V8TV web episodes along with our latest show, Muscle Car Of The Week. Located in Red Bud, IL, the V8 Speed and Resto Shop routinely performs everything from basic maintenance on Classic and Muscle Cars to complete frame-off rotisserie restorations. Cars built in our shop have been featured at the SEMA show in Las Vegas, the Trans Am Nationals, the Muscle Car and Corvette Nationals, on various magazine covers, and have won numerous awards all around the country. Vehicle Transport is available to bring customer cars to the shop for work, or we can always find cars to build. 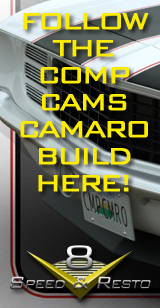 Our customers come from around the world to have the V8 Speed and Resto Shop build their dream cars thanks to our talented crew and quality work, and also because we document each restoration with thousands of photographs. We send long-distance customers these photos so they may follow their car from start to finish from their desktop or mobile phone. Customers are reassured of quality, as all of the detail work is available in photos for the world to see. Some even become the features of V8TV videos! 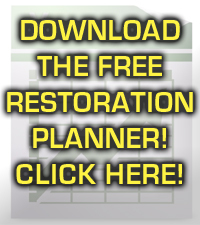 Contact us today to learn how we can help keep your old car on the road, or to design and build your dream car! People are always asking about what new projects we have going on at the V8 Speed & Resto Shop, so we decided to share some of the action in a tour of the shop!